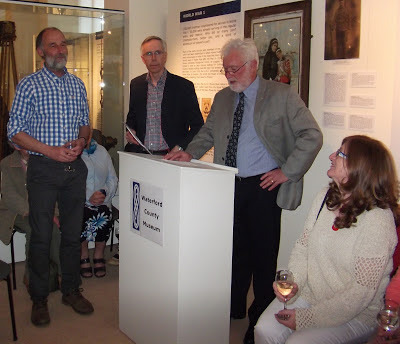 The official launch of the book "Medieval Dungarvan Above & Below Ground" took place last Thursday 23rd May in the Museum. Museum President, Padraig Ó Cuirrín, welcomed the author Dave Pollock, Museum members and special guests. William Fraher spoke of the importance of the publication and hoped that there would be a copy in every home and school in Dungarvan. He complemented the author on his fine illustrations which help to bring the subject to life. 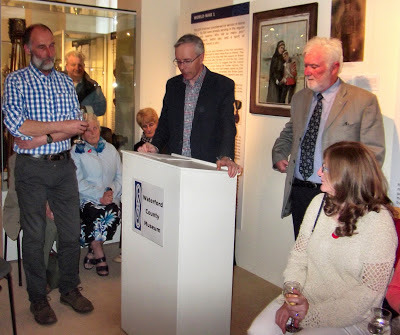 Dave Pollock, archaeologist has worked on some of the most important digs in Dungarvan over the years including Dungarvan Castle and the old Leather Factory site. 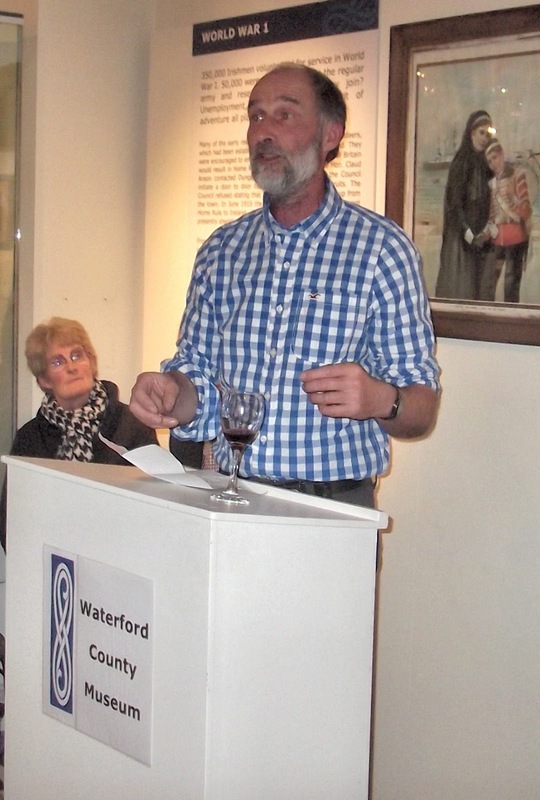 Dave Pollock in his address thanked The Heritage Council, Waterford Co. Council and Waterford County Museum. 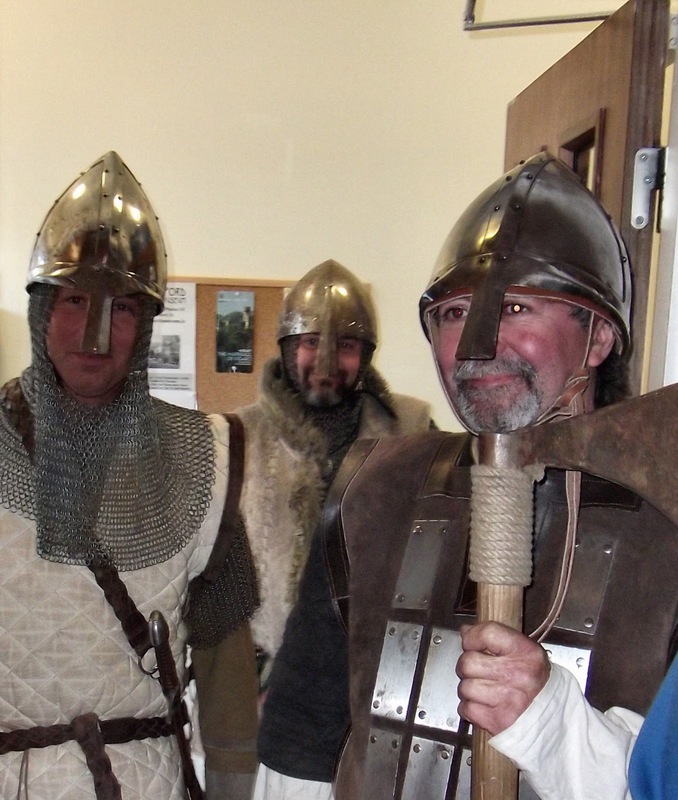 A big thank you to the Waterford Living History Group who were dressed in their medieval costume for the occasion. This book will be a valuable resource for students and those interested in the archaeological evidence of this period of the town's history. 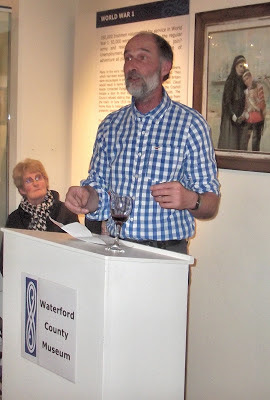 The publication was funded by the Heritage Council and Waterford Co. Council.